The perineal urethrostomy (PU) has often been indicated in patients as a temporizing procedure to bypass distal urethral obstruction and as the first step in different types of complex, staged urethroplasty procedures. In addition to these two indications, the PU was also used as a last resort surgical procedure in patients who had refractory distal obstruction. 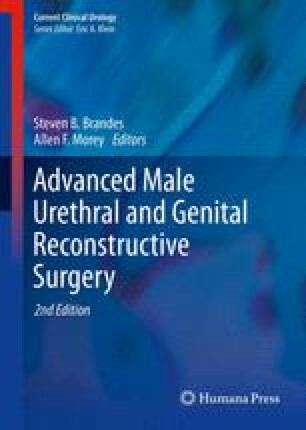 However, recently the PU has gained popularity as a definitive primary solution in multiple situations with complex obstructive urethral pathology offering a good solution to a bad situation with a straightforward surgical procedure resulting in good long-term outcomes and high patient satisfaction.